It’s Super Bowl weekend! And I have to make something to celebrate the occasion. As a South Jersey girl who grew up across the bridge from Philadelphia, I’m rooting for my Eagles to win. I know New England is the favorite, but I’m banking on the underdog. I want the Eagles to grab that title right out of the Patriots’ grubby hands. Fly, Eagles fly! 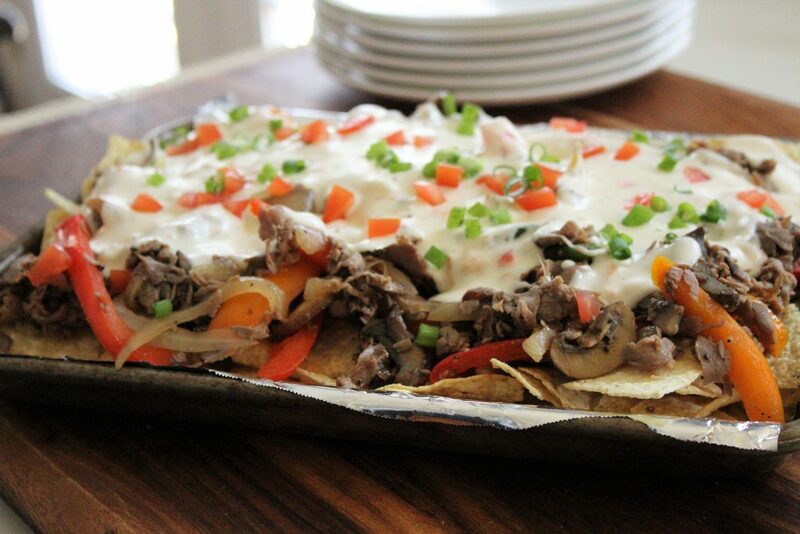 Since the cheesesteak originated in Philadelphia, my contribution to the Super Bowl menu is cheesesteak nachos! And yes, they taste as good as they sound! Tradtionally, cheesesteaks are made with shaved ribeye, but to keep things easy for Super Bowl Sunday, deli-sliced roast beef works perfectly fine. Instead of Cheez Whiz, these nachos are topped with a homemade cheese sauce packed with a bunch of flavor. No bechamel required. Just spread some tortilla chips on a platter, top with the meat, pour on the cheese and dig in! Heat the oil in a large skillet over medium heat. Add the onion, bell peppers and mushrooms. Season with salt, pepper, and seasoning salt. Cook, stirring often, until the vegetables are tender, about 7 minutes. Add the meat and mix with the vegetables, breaking up the meat with a wooden spoon. Cook until the beef is browned and heated through, about 5 minutes. Remove from the heat and keep warm. To make the cheese sauce, melt the butter in a large pot over medium heat. Add the shallots, tomatoes, and garlic and cook until tender, about 3 minutes. Season with salt and pepper. Whisk the milk, cream and cornstarch in a 2-cup measuring cup until combined. Pour the liquid into the pot and bring to a gentle simmer. Do not boil. Reduce the heat to low and stir in the cream cheese until melted. Gradually add the provolone and mozzarella cheeses, stirring until melted. Season to taste with additional salt and pepper, if necessary. To assemble the nachos, arrange the tortilla chips on a large serving platter. Pile with steak and vegetables. Drizzle cheese sauce over the top. Garnish with chopped tomatoes, green onions and banana peppers. 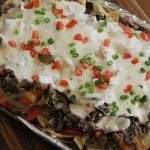 This entry was posted in 30-Minute Meals, Appetizers, Beef, Party Food, Recipes and tagged cheesesteak. 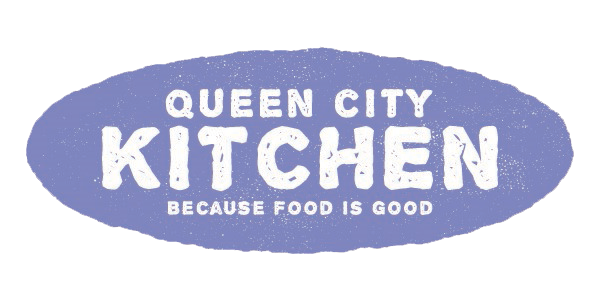 nachos, party food, Super Bowl menu on February 3, 2018 by Andria Gaskins.